Welcome to the Secret Santa Photo Thread, post your great gifts here! 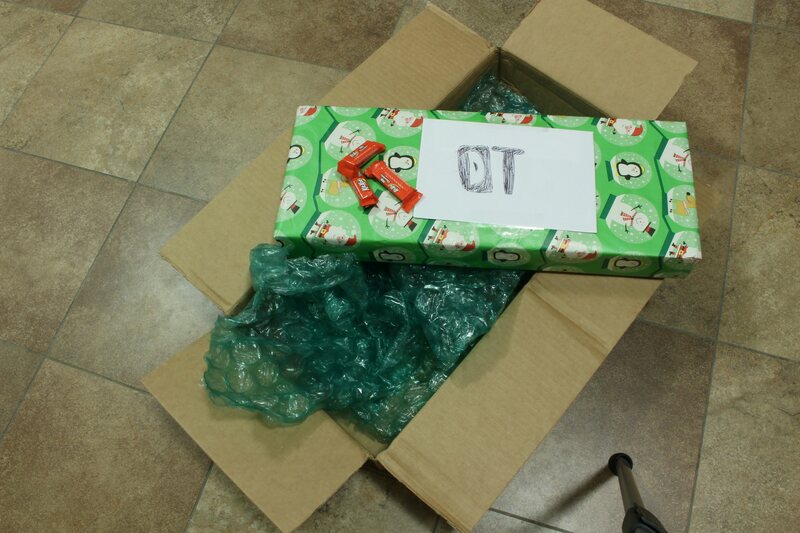 I must say, it's a miracle your Santa packaged it well enough to survive the trip! ZedTheMan wrote: ↑ You got a cat? A lucky day for me too, got a box in the mail. I don't feel like waiting around so let's go! Is that a violin in the box? 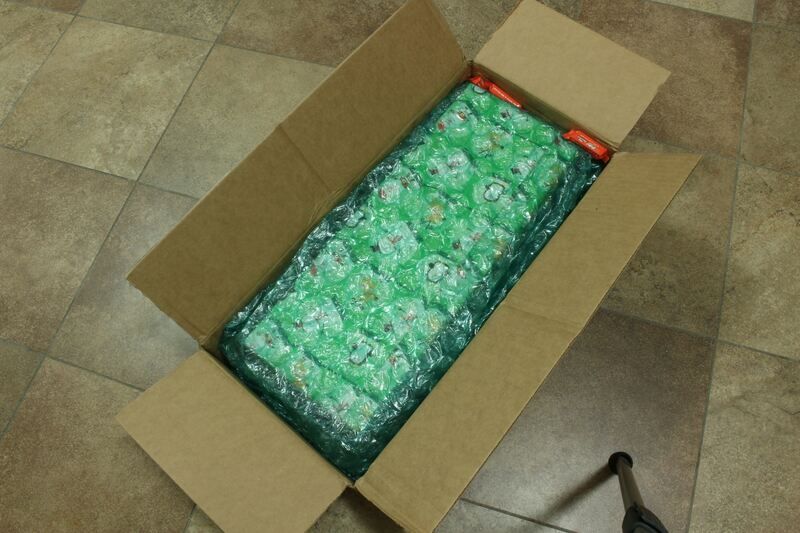 I recognize chocolate at least (minty fresh even)! Well would you look at that. 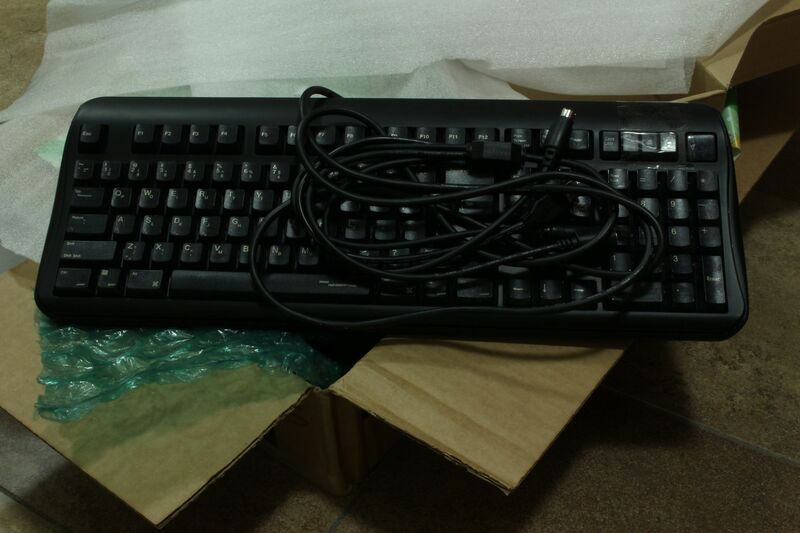 An Apple Desktop Bus Keyboard with SMK switches and a Sanyo MBC-550 keyboard with Fujitsu Leaf Spring switches. I was even given a bit of a challenge. Looks like I'll have to get on that soon. 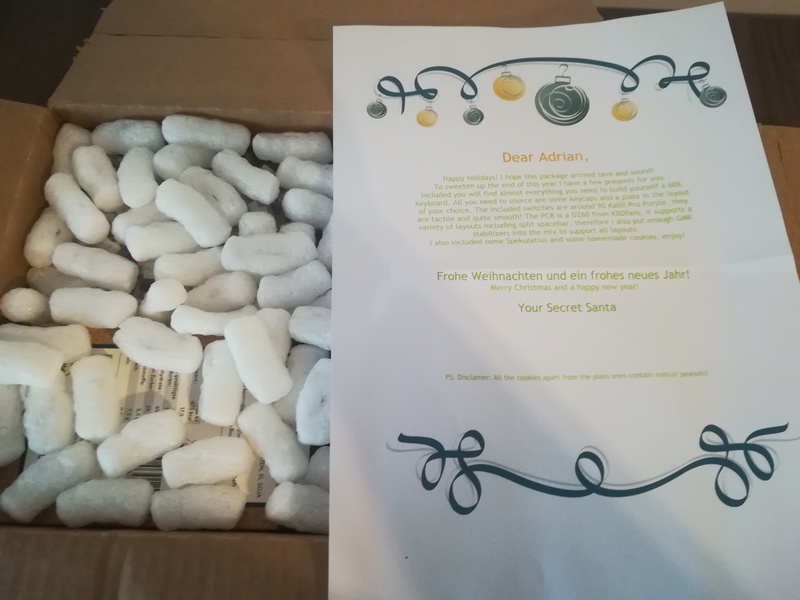 Thanks (not really so) Secret Santa! 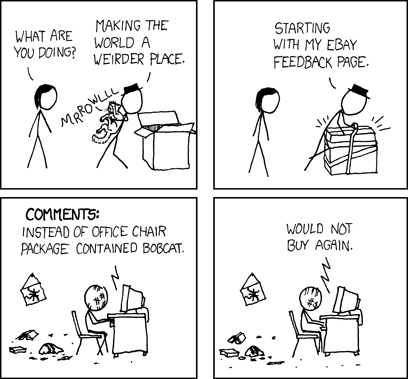 "You can do this one in every 30 times and still have 97% positive feedback." Perty!!! 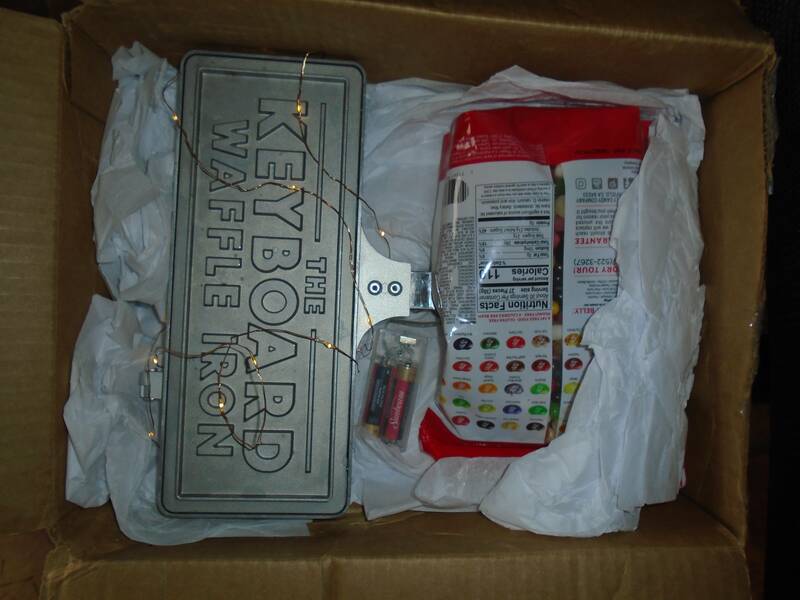 Lots of Candy and what appears to be a keyboard buried underneath. Wassat? ... and lastly, some additional, decorative, double-shot keycaps. Some of them are double-shot rubber which is a most peculiar sensation which I'm quite partial to. 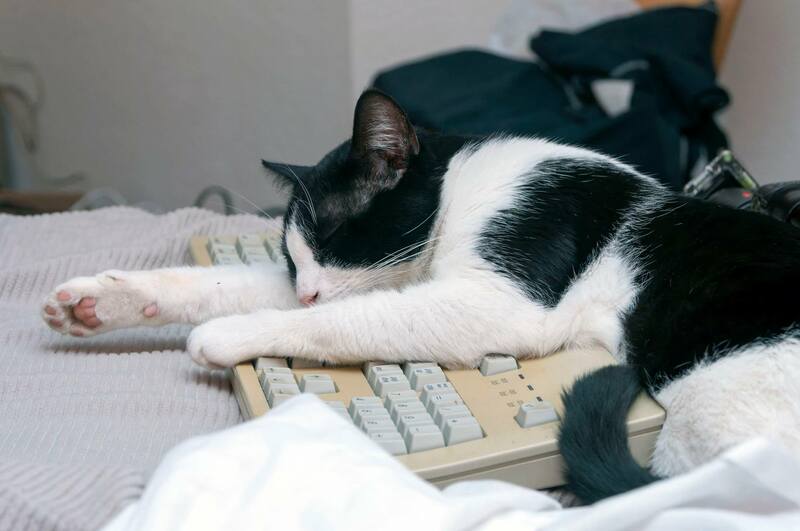 So the keys in the qwerty region are clearly tactile and clicky... and DAMN - is there some amount of force required to push them. These are probably the heaviest keys I've ever felt - it's like crossfit for my fingers. Then I move over to the numpad / navigation area and they're linear and silky smooth - like typing on unruffled clouds in comparison. OH! I say to myself - "that must be the difference betwen these two (spare) switches"... so I pick them up and NOPE - both those switches are tactile. I think the Matias switches may have been linearized by taking out the click leaf. 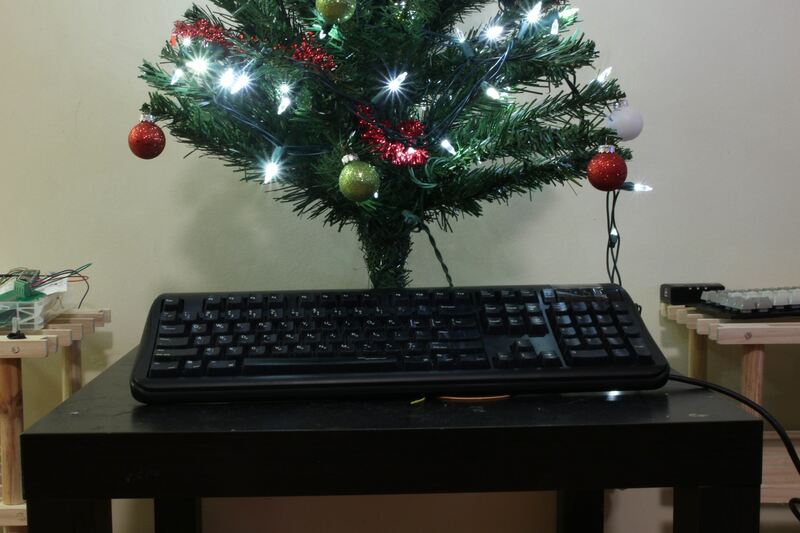 Secret Santa seemes to had his fun with that board, judging the keycaps colors that seem to be from another board. Well, it got a permanent station in my lab. I'm building a computer for it right now. Definitely watching a movie tonight and eating a bag of those! Oh Cherry ML switches, never tried those. 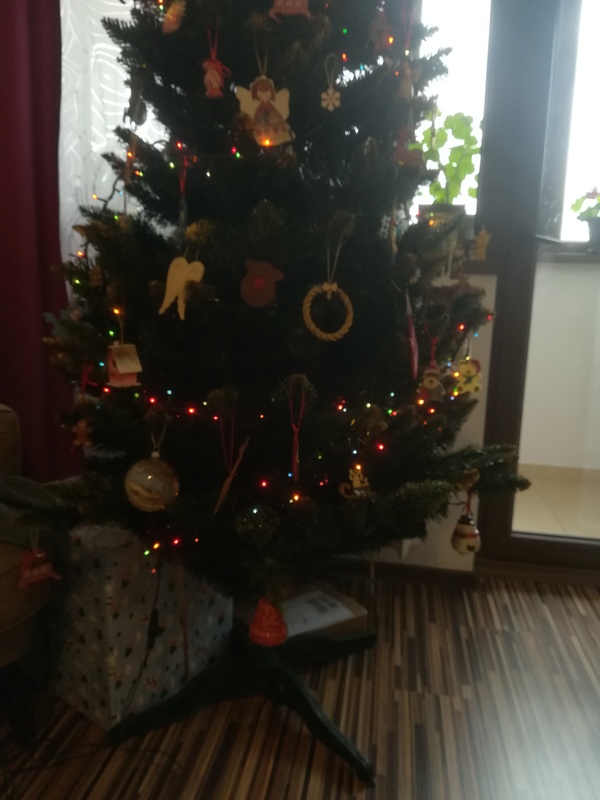 Thanks a lot Santa and merry christmas! Fist of all, thanks Santa ! So I got a DZ60 PCB + case + plenty of switches + GMK stabs + some delicious cookies . I am very happy for my present as it's my first 60%. Woo ! Happy Holidays ! Got my gift today, thanks! My package arrived last week! I opened it on Christmas morning along with all the other. The industrial brown of the box had its own charm, but, we decided to use a little bit of extra wrapping paper to liven things up. At the top of the box was this very nice handwritten note. Take note of the note. Hmm. What could be in here? First, as promised, a very nice gift for my daughter. She's now five years old (!) and joined by a three year old brother and a ten month old brother. I did say we've been busy! 3D printing "for the win". That looks familiar! But, I was told to look inside. What's in there? 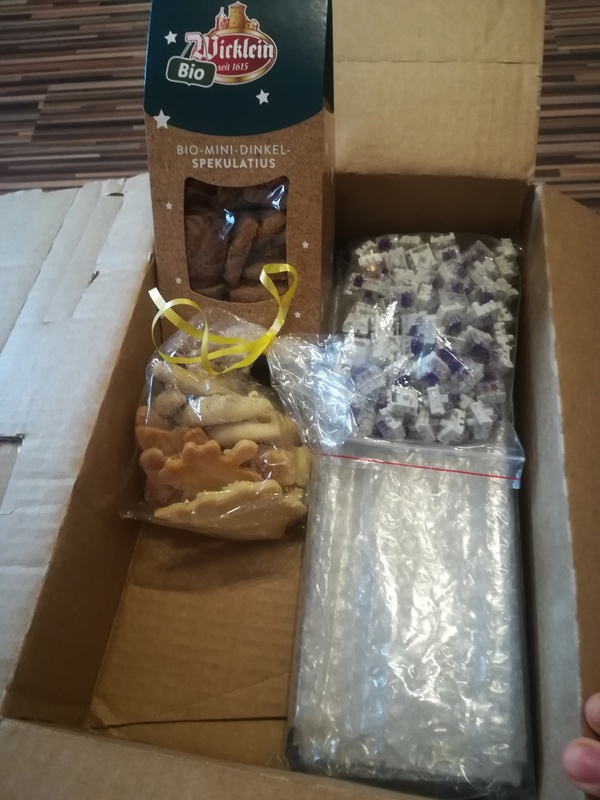 Thank you so much, mysterious Secret Santa from a faraway land! 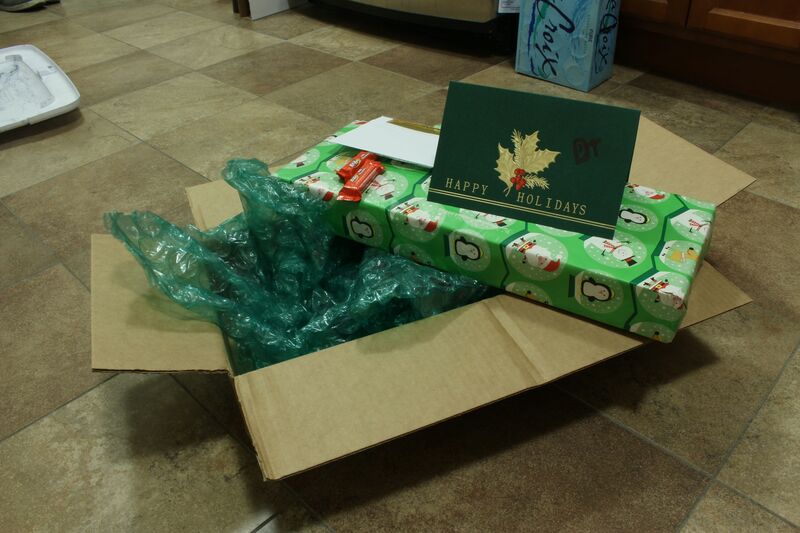 Sorry for posting so late, the present actually arrived before Christmas! Thanks Secret Santa! 1. Peak force of beamspring: 75g? 2. SKCL/SKCM launch year: 1985? 4. 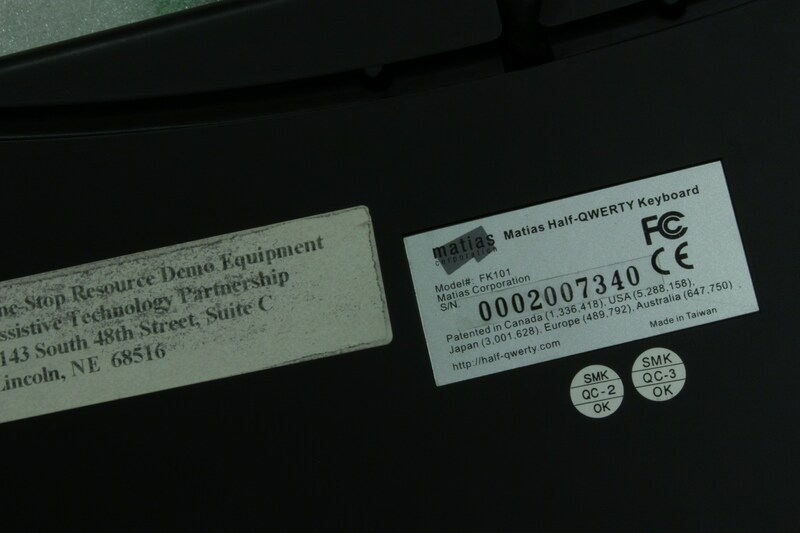 How many years Novatouch sold for: five? Have you been naughty or nice? Yes. 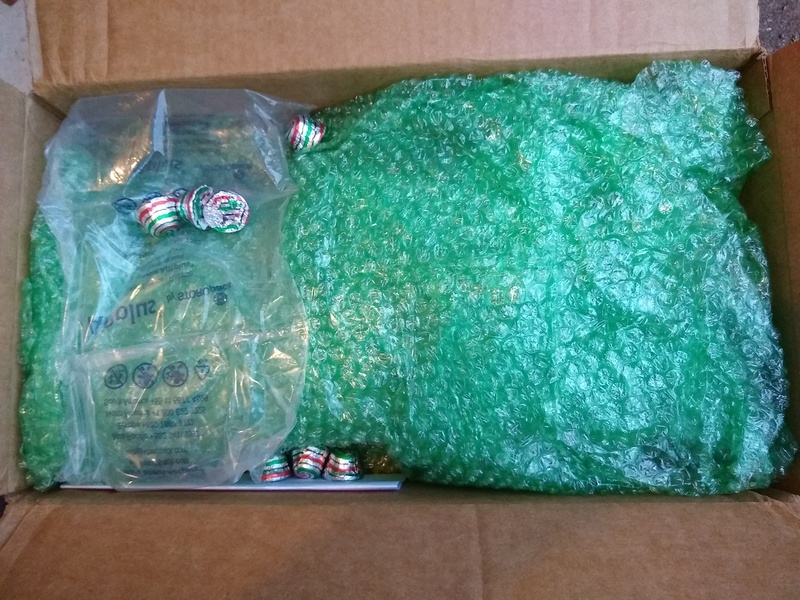 The contents: Chocolates... and a Razer keyboard? Powered on, was expecting green LEDs, so the blue was a nice surprise, kinda ties the L-Trac and G502 together. Hey look what came up today ! Damn ... so many sweets and stuff to eat from Québec, I went there when I was younger in 2007, so many memories are coming back while trying again those Maple Syrup candies I can't thank enough my Secret Santa, your gift was spot on ! thank you so much !!!! 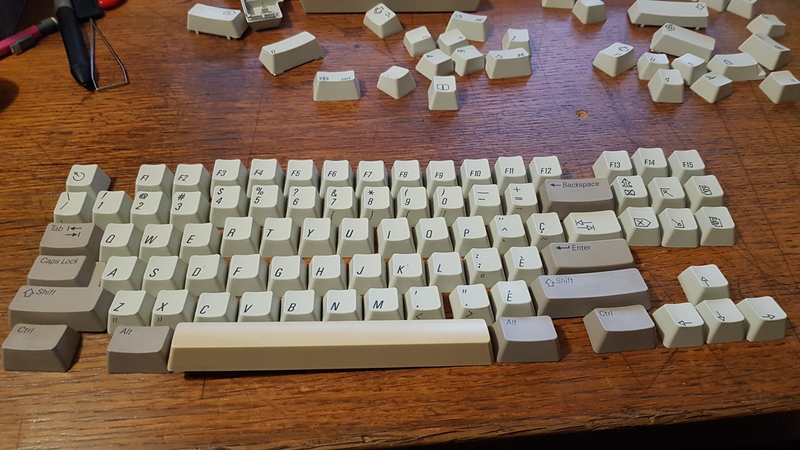 Obligatory :< from any remotely french keyboard, I'm going to combine these keycaps with an SGI Granite keycap set, to have usable, it's going to look very nice, thank you so much again santa !!! 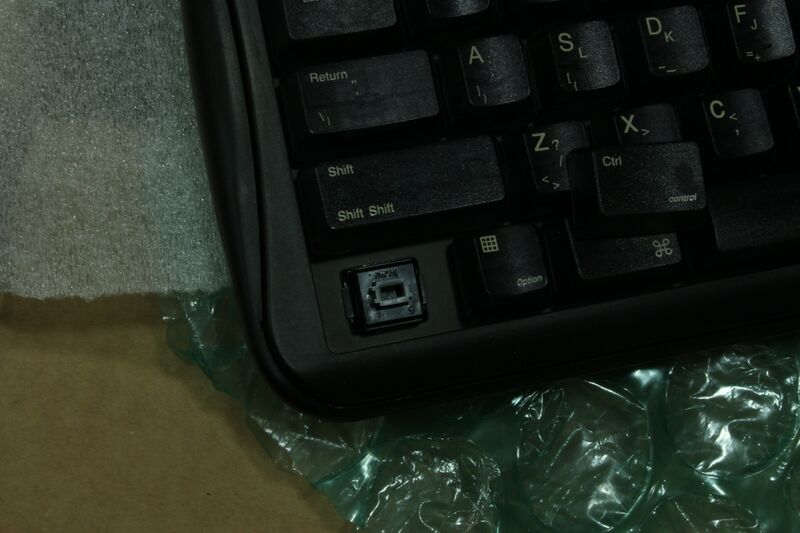 Wait, the stabs are integrated into the keycaps on that enter key. So AEK font, but not AEK profile? Seems very interesting, please tell me more! Oh wow, those do look nice! I know for a FACT my school has about 15 Apple Design Keyboards. Maybe on Monday I'll go down there with a puller and see if they have dyesubs! AppleDesign keyboards are indeed a crapshoot. 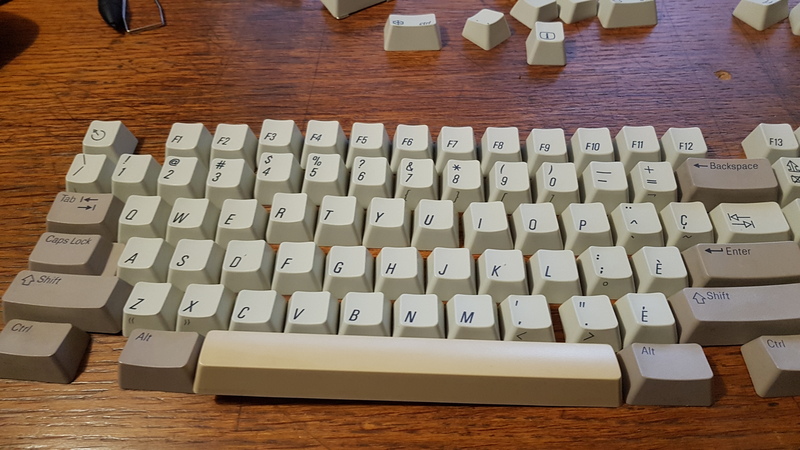 Cindy scored me a set of Alps mount caps from an ANSI US model, but they’re ABS and slightly yellowed. 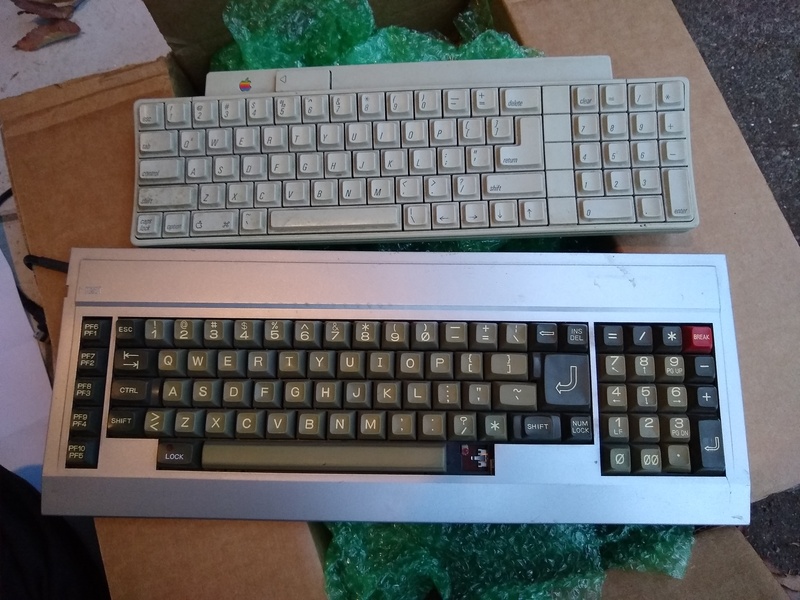 I do like the shape and the Apple iconic legends, but they’re not good enough to swap on to any of my Alps boards so far. Aside from the country of manufacture, the other way to readily distinguish this variant from the others is the presence of three (rather than four) screw holes on the bottom of the case. @Murium: did the ANSI Alps mount model also have a three-screw case design? I never saw the case, just the caps.